"I am no pro or anything I am just a regular ole nobody but I must say after reading your writing I love it when writers don't sugarcoat things for the readers. Way to go ! What a wonderful start." https://spoti.fi/2NSW0A5 RUNNING ON EMPTY PLAYLIST. Comments and feedback are greatly appreciated. Let me know if I should post the rest, I have finished a rough draft of this manuscript. Honestly, this is a great first chapter to your story. The descriptions are on point and the backstory to "Easy" is very vivid and does not shy away from details. Hell, the title looked interesting and the first paragraph had me hooked. The only criticism I could give, however, is how the story goes into recent events that quickly. 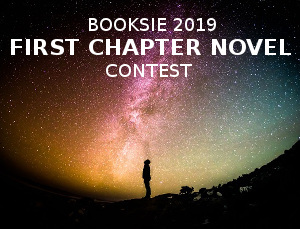 The beginning is more like an epilouge than a first chapter, and the part introducing the male could've been the beginning of the first chapter. Just my opinion, but besides that, great work ^-^ Keep it up! Thank you for the great feedback, you have no idea how much I appreciate it. I am no pro or anything I am just a regular ole nobody but I must say after reading your writing I love it when writers don't sugarcoat things for the readers. Way to go ! What a wonderful start. Awwwwwwww that means a lot. Thank you. This page was created in 0.4563 seconds.